On April 9, 2016, the City of Hearne sued its former mayor, Milton Johnson, trying to block an initiative referendum that would have forced a forensic audit of city hall finances. Last week I counter-sued the city and its city attorney, Bryan F. “Rusty” Russ, Jr. on behalf of Mr. Johnson, and this morning I picked up some damning new evidence against Mr. Russ. Our counter-suit alleged that Mr. Russ intercepted the petition signatures and held them in his private office to keep them from being certified by Robertson County Elections Administrator Trudy Hancock. When he finally turned the signatures over to Ms. Hancock on April 7, 2016, some of the signatures were missing — enough to keep the referendum off the ballot. Our counter-suit was filed on April 21, 2016 and, according to an email I received from Ms. Hancock this morning, Mr. Russ produced the missing signatures that same day. So we now have proof that Mr. Russ was the person who tampered with the petitions and omitted some of the signatures in order to keep voters from imposing an audit on the city. But it gets worse: according to Ms. Hancock, after Mr. Russ submitted the missing signatures, he told her that she did not need to notify the city. In other words, he wanted everyone to keep thinking that there were only 318 signatures when in reality there 517 signatures, because he still wanted to keep the initiative off of the ballot. Election tampering is a crime under both state and federal law, which is why I sent a letter to state and federal prosecutors on April 25, 2016 requesting an investigation. This morning I sent a letter to U.S. Attorney Robert L. Durbin of San Antonio outlining the new evidence against Mr. Russ (and here’s the September 18, 2015 letter that it references). Mr. Russ obviously is willing to risk disbarment and imprisonment in order to block the initiative, but why? Probably because he knows voters want the audit, and he knows the audit could result in criminal charges far more serious than tampering with an election. Never mind the fact that Councilman Michael “Sticky Fingers” Werlinger used taxpayer funds for football tickets, or that city officials used taxpayer funds to buy flat-screen televisions as gifts. No, Mr. Russ and his allies in the Booger County Mafia are worried sick about millions of dollars worth of fraudulent utility bills. Back on September 9, 2015, I reported Rodrick Jackson’s discovery that the mayor’s sister had written nearly $50,000 worth of hot checks for her restaurant’s utility bills and she was still thousands of dollars in arrears, yet her utilities had never been disconnected. Contrast that with what happened to Mr. Jackson: the city shut off his electricity the same day that he filed open records requests about the utility bills for prominent city residents, and even though Mr. Jackson’s bills were all paid. What I failed to report at the time was the name of the mayor’s sister. That would be Sylvia Montelongo, president of the Hearne Independent School District’s Board of Trustees. So is it any wonder that the school district has serious “financial management issues” as reported in The Bryan-College Station Eagle? Don’t forget that Ms. Montelongo is up for reelection this Saturday, and she has an opponent this time. And speaking of the election, let’s not forget that three Booger County Mafia representatives on the Hearne City Council will be up for reelection: Joyce Rattler (who also is under investigation for election fraud), LaShunda White, and Michael “Sticky Fingers” Werlinger. These are the same three crooks who, along with Mayor Ruben Gomez and Councilman Emmett Aguirre, voted to file a lawsuit against their own constituents in order to block an audit of city finances. Now back to that lawsuit. Before Mr. Russ filed it, I warned him that the Texas Supreme Court had ruled in 1980 that a city cannot sue to prevent a vote on an initiative referendum. Naturally, Mr. Russ ignored me and filed the lawsuit, but that’s exactly what I wanted him to do. 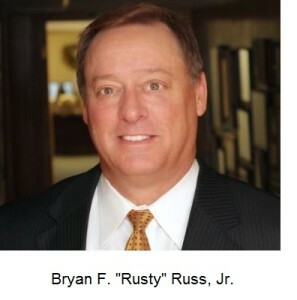 A relatively new Texas law allows defendants to dismiss lawsuits that are designed to interfere with First Amendment rights (including the right to petition), and Mr. Russ walked right into my trap. But here’s the real kicker: the new law imposes sanctions and attorney fees on the party that files such a lawsuit (on top of that, I filed a motion for sanctions against Mr. Russ personally for filing a junk lawsuit). 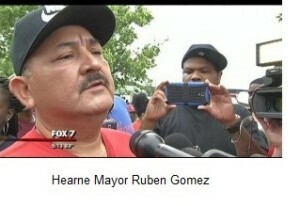 Shortly after he retired, Hearne City Manager Pee Wee Drake was indicted for mishandling city finances, but the crooks on the city council voted to rehire him as a “show of support” (really, you can’t make this stuff up). After the money was repaid to the city, the charges against Mr. Drake were dismissed, and Mr. Drake just announced that he is retiring again effective May 31, 2016. So who will take his place? 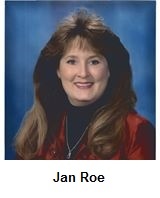 Back on January 9, 2015, I reported that Mr. Russ was trying to get former Robertson County Judge Jan Roe hired as Hearne’s city manager upon the retirement of Mr. Drake. Ever since she lost her re-election race in 2014, the old sow has been trying to get her snout back in the public trough, and my source in city hall tells me that the crooks on the council now want to hire Ms. Roe to replace Mr. Drake. It’s no surprise that Mr. Russ would want her as city manager, given the corrupt and cozy relationship that they had when she was the county judge. Fortunately, the voters can have some say in this matter. If Hearne’s residents want to be ruled by crooks and reprobates like Rusty Russ and Jan Roe, and if its residents want to keep getting ripped off on their taxes and their utility bills, then by all means they should vote for the Booger County Mafia candidates: Joyce Rattler, LaShunda White, and Michael “Sticky Fingers” Werlinger. If, on the other hand, the people of Hearne want to audit city finances, hire a respectable city manager, and start cleaning up city hall, then they should vote for the reformers: Rodrick Jackson, Martha Ruiz Castilleja, and Margaret Salvaggio. Since his election to the council last year, Emmett Aguirre has tried to straddle the fence between the Booger County Mafia and the reformers. On the one hand, he voted against rehiring Pee Wee Drake following Mr. Drake’s indictment. On the other, he voted to sue his own constituents in order to prevent an audit of city finances.